Two immediate questions: How did ol’ Shel know that Bob Kealing’s book was dropping in September? And second, is the Hall now adding Gram’s boots to his suit in that hermetically sealed display case? When will they add Gram Parsons himself to all his clothes and put a plaque of him on that wall of theirs? 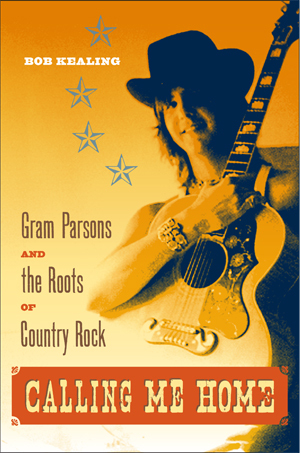 Welcome to the fifth annual Gram InterNational, which began and continues to be a one-night party-concert-festival, whatever you want to call it, in support of Gram Parsons’ induction into the Country Music Hall of Fame. This song was reportedly written about Lester Flat, who evidently rankled a few feathers while alive. I’ve heard many say that Gram did the same: “It was horrible of him to up and leave such and such band.” “He was selfish not to go to South Africa.” “Why did he waste so much time with Keith Richards?” “A rock band at the Opry? ?” and the universal, “Of course he was a creative genius, he had that trust fund.” Etc. Etc. Well, we’re really here, ignoring Shel’s sardonic note, to truly speak well of the dead. We don’t believe those present tonight are really concerned with how Gram died or about the caper surrounding that death. Of course we wish Gram Parsons hadn’t died almost 40 years ago. But Gram left us with a mission, and I think he knew it. We are here to celebrate not only the enormous gifts Gram Parsons left for us, but to honor his contribution to the evolution of the genre and to hope that even more begin to understand what he did for what his protege, Emmylou Harris, once called “regressive country.” For whichever side of the fence you’re on, and whatever label you choose to call it, one thing we know for sure: the music he created and the musical paths that followed in his wake do not sound much like, well, much like what was broadcast nationwide from the Bridgestone Arena here last night as being representative of country music [2012 CMA Award Show]. No, what evolves from Gram Parsons sounds more like, well what country music should sound like in the 21st century, maybe with a backbeat here and a modern touch there, but never forsaking the soul of it and what ol’ Bill Faulkner once called “The human heart in conflict with itself.” Most importantly and to put it simply, it sounds like the real THANG. Thank you for coming out tonight, hope you enjoy the show. This entry was posted in GINBlog and tagged Country Music Hall of Fame, Gram InterNational, Gram Parsons, Shel Silverstein.